I flew up to Alaska for the first time. It was both cheaper than driving, and I felt I didn't have the energy to deal with driving or the potential problems of the long road trip. I also wanted to see if I could make myself "flight ready" in preparation for trips overseas, where I would have to fly. In so much as that, I was successful. I was able to fly up, get into the back country, come out and play the State Fair. I got around by bus and hitching and managed to make it work. I feel actually pretty confident with the concept of touring this way, depending on the public and friends for transportation and shelter, carrying everything I need in a few bags, flight ready. Though again I appreciated my metal box more, for sure. I also proved to myself I was capable of travelling without it, just like I used to. But I've been basically living out of a rig, except when I was living out of the boat, since 1985, when I bought my old Willies wagon back in Montana. It was definitely a big step towards international travel. It was a strange summer. 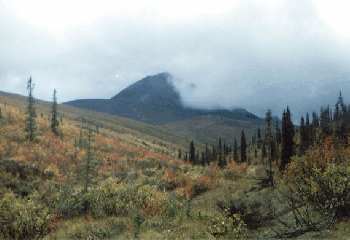 I did spent most of the time in the bush, up in the Brooks range, my usual stompin' grounds. I did dig gold, though I didn't do what I came for, ie, find my own claim, and have a good walkabout. I did end up getting the use of a local cabin, and I was happy with my little place there by the creek with a barrel stove and a rocking chair. I guess it was not so instant Karma. The owner of the claim let me stay in the old original cabin his father had built. I cleaned the place up and got it in shape. He said his father was a little leary of him letting anyone stay in the old place, and while I was gone to the fair his Father came up. He asked sort of pointedly if someone had been staying in the cabin. His son replied that, yes, someone had. His Father replied that if that guy ever came back, he could stay in the cabin as much as he liked, the place hadn't looked that good in years. Not long after I arrived at the cabin I let my good nature and dedication to serving others motivate me into helping out a local miner who had lost his partner and was in a bind. That was a mistake, actually, and th first time I really regretted helping someone. So it goes. I spent all summer helping him, and doing nothing for myself, and nothing to show. Which would be ok, in the cause of service. Quite the adventure, driving a backhoe 17 miles up a creek to the uplands, though digging enough gold to just pay for the backhoe rental. But the old miner was not one to count on or work with, gold and greed have a way of warping people. In fact, as I got to know him, I had to realize that he was a con man and a thief, scheming how to rip off everyone in one way or another, a dishonest man. This is why I regret helping him, I'd rather he had failed and gone away, rather than stay. I had to buy some of the gold I dug just to keep some, he was too ungrateful to even give me some as a gift for helping him make it, a couple months of hard work. Not that I expected anything. It was still the place I wanted to be, living a simple life, and I like working. 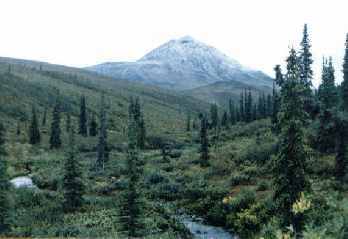 I'd walk the few miles from my cabin up to the digs each day, watching the seasons pass till snow was falling and ice skimming the creek. The nightless summers gave way quicly to shorter and shorter days and the northern lights. The first snow fell in mid August. There was a moose at the digs one morning, and a grizzly passed by the cabin on another. The local one has a taste for coca cola in the red cans, so I had nothing to worry about since I don't drink the stuff. 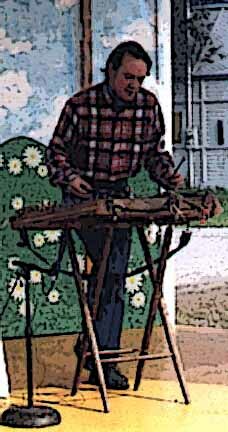 I hiked the dulcimer up there for one of the local"s birthday parties. Then I took it on up to the cabin to play when I had the energy. 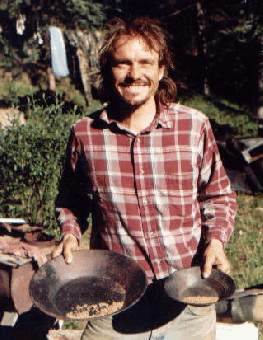 It was a life I enjoy, the simple living and hard work there in the wildlands many miles from even the nearest village. If it wasn't for the music I could see spending all my summers up there that way, making my own claim and cabin, I may still. I have learned a lesson in the limits of good works, of helping people, or in limiting the help I give others. As my mother told me once, I am the most compasionate person she's ever known, yet I have not learned compassion for my self. A truth I have come to appreciate, if not apply. But I realize I do need to think of myself, if only so I can be of greater service to the world. I just don't know if I really can, selfishness is something I don't have, and I really can't come up with any motivation to even serve my self. Personal happiness still seems a far away dream, though I've allways known what I've wanted, I just never have found them. The hearth and home, a woman who loves me and will stand by me as I would love and stand by her, working together to live a good life, raising a family, serving them and each other; and finding a way to take a stand against the evil that continues to eat at the world, disturbing and destroying the harmonies of the universe, within and without us. It was a nice dream. The Fair went well. I was welcomed back sincerely and made a big hit with the crowds. All in all, a great time. I hitched a ride down with one group of folks, then I arranged comp tickets and my friends from the bush came down to get supplies and see the fair, and gave me a ride back up. The Tanana State Fair is still one of my favorites, big enough to be a major event, but keeping the sense of a local and family event, a personal feel so different from the increasingly commercial, impersonal, generic fairs down south. It felt good to be back, and to be remembered so appreciatively and treated with respect.